As CBD becomes a more popular supplement more and more people who have never used it before are trying it out. With that we get new, wonderful customers every single day who are asking “What kind of Pure Hemp Botanicals CBD product is right for me?” So let me take a moment to introduce you to all of our wonderful products! We have some great flavored mints(some aren’t even minty flavored at all!) 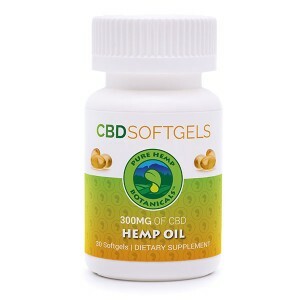 They come in 250mg bottles and are really great for on the go usage for a quick CBD boost! They come in Spearmint, Chocolate and Strawberry-Mango flavors. This delicious option is made of a blend of hemp and organic herbs. It’s a great way to either calm down at night, wake up in the morning or just enjoy a refreshing drink during the day! It comes in several delicious flavors. Apple-Hibiscus, Peppermint Mate, Chamomile-Lavender, Ginger-Tumeric, Spearmint-Lemongrass and Pure Hemp! 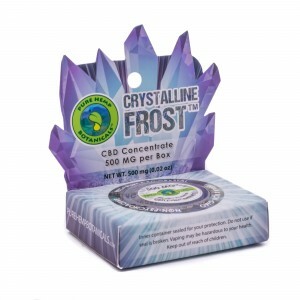 At 98%+ purity, Crystalline Frost Pure CBD Crystals are the purest form of hemp extract currently on the market. They can be dissolved under the tongue,in drinks, edibles, or any other appropriate vaporizing device used for consuming shatter, oils, or wax. They come in 250mg, 500mg and 1000mg. These are the classic, flavorless way to ingest your CBD. Easy to have on hand at any time they come in two different dosages 1500mg and 3000mg. These are on the higher end of doses so if you’re needing something lower be sure and check out other options. These are a fan favorite. Flavorless, easy to swallow and coming in lower dosages. Did we mention that they’re also vegan?! They come in 300mg and750mg. I’ve found that they’re the easiest large dosage item to travel with. Vaping is not for everyone but is a really delicious way to take your CBD. We have both 250mg and 500mg options available in a variety of flavors as well as vape juice concentrate in both 1000mg and 2000mg. The amazing flavors are: Bananas Foster, Blue Dream, Blueberry, Fruity Pebbles, GG4, Granddaddy Purp, Pina Colada, Pineapple OG, Skywalker OG, Sour Diesel, Strawberry Lemonade and Sweet Mint. As always, if you have absolutely any questions about our products at all please don’t hesitate to reach out to us! We love helping and teaching as many people as we can about CBD.